About a month ago, as part of my research for the book I’m ghostwriting, I had to spend the day in an Oxford College. I had to pinch myself several times. Me, a French woman from a tiny little village in France, now here in Oxford, interacting with the biggest brains of Oxford and Cambridge, discussing theology, psychology, psychotherapy and spirituality (both in its religious and non-religious sense)?! Yes, I was dreaming, surely. No, I was wide awake! It was so interesting, it was so fascinating, I just wanted the day to go on and on and on. I arrived early and my bus stopped just opposite Christchurch College, my favourite college. I couldn’t resist – I had only 10 minutes but I knew it would be worth it: I crossed the road. I feel at home whenever I go up the few steps that lead to the sandy, gravelly, sun-coloured path in front of the imposing building and take in the fabulous views of the college itself and then of the long alley of trees and, far into the distance, the Isis*. The air was getting warmer already, yet it was only 8.45 a.m. on 21 March – Spring Day + 1. There were only a few people, walking or jogging or standing still, admiring the views or snapping away. If you want to photograph Christchurch, come at about this time of the morning on a sunny spring day: nobody will spoil your picture and the sun illuminates perfectly the whole façade. Also at this time, you can hear the birds chirping and the wind in the tall trees, no students about and not many tourists. You can sit down peacefully on the grass – nobody will want to grab the space right next to you, or even 10 metres away. My time here was limited, so I made the most of it. 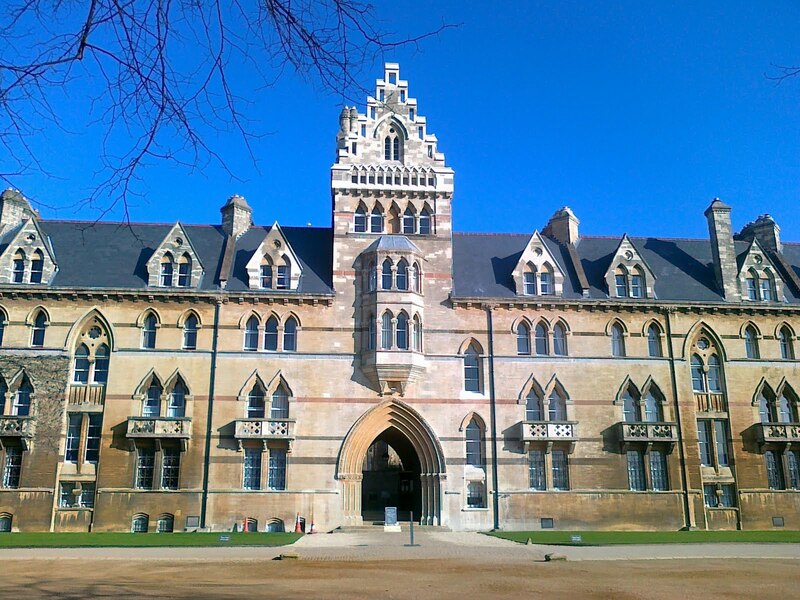 I filled my lungs with the Oxford air and my eyes with the stunning landscape surrounding me. Then, far too soon, I had to say goodbye and go to Campion College, just across the road, down in an alleyway that I wouldn’t be comfortable walking through past 7 p.m. on a summer solstice. The silence inside the thick walls was eerie. I was greeted by the master and shown to the dining room, where the other people who were attending the meeting were having coffee and tea. I felt slightly out of place, but the person I’m writing the book with, whom I shall call X, was there so within minutes of sitting down I knew I would be all right and well looked after. The morning went very quickly, and although the big brains of psychology and theology were there, it was all (as one may expect in an Anglo-Saxon world) quite informal. There was laughter, there was humour, somebody (who worked in the college) had turned up in his slippers, and I sat between an angel and a psychotherapist-priest-editor (of all people!) who spoke to me most naturally, as if I belonged absolutely. By then, I felt quite at ease, scribbling away, listening intently, not missing a drop of what was being said, entranced by the whole event and all the discussions flying around the room. At lunch time, I sat down next to X and a psychotherapist, who turned out, later in the afternoon, to be the person who had the most interesting things to say, and with such ease and panache as well that I was spellbound once again. Already at the dining-room table, over a slice of quiche and salad, he managed to captivate me, and the fact that he’s written several books on various subjects means I can go back to his printed words should I ever feel the need to. 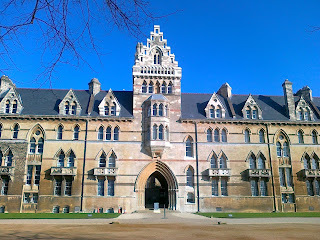 I then took a little break away from the Big Brains and went back to Christchurch College. Once again, I couldn’t resist the lure of this famous English college, where many scenes of Harry Potter were filmed… It was significantly busier than earlier, and many people were picnicking on the grass and sunning themselves. Still, it was worth going there, even though it was just for a few minutes. The afternoon flew by, more questions asked than answered, the ideas and concepts and postulates all as fascinating and illuminating as one another. At 5 p.m., it was all over. I had to hurry up to catch my bus, but I took the time to walk to the college master, expressing my sincerest thanks for a most enlightening day. I then ran back to St Aldates and just 100 metres up the road was my bus stop. (I still couldn’t get over how convenient this was – my bus stop happened to be just a stone’s throw away from Campion College!) My bus arrived 30 seconds later and I went back home, in some sort of trance, a myriad of words coming back to me, giving birth to thoughts and ideas for the book. One of the best days of my life. Not so much a day of research as a day of ‘immersing myself in X’s world’. 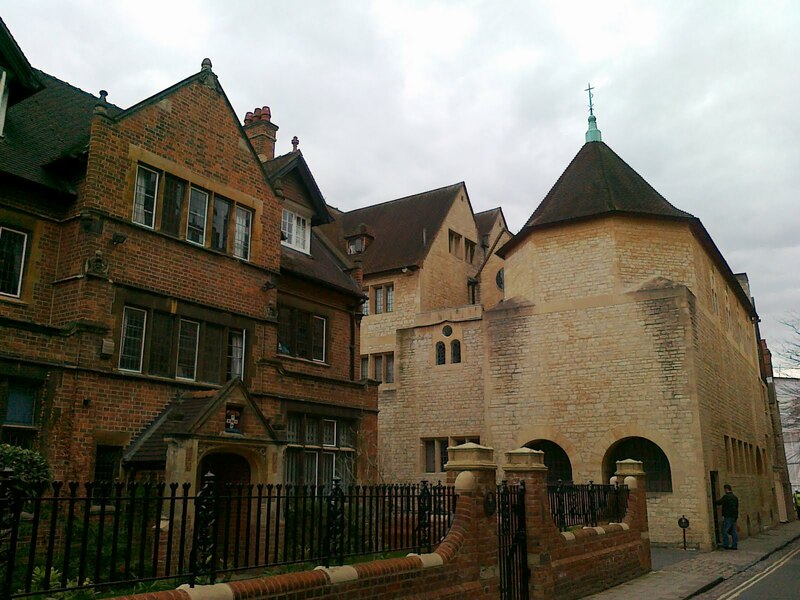 * The Isis, for those not familiar with this corner of the planet, is the name given to the part of the River Thames that flows above Iffley Lock through the city of Oxford.